June 4, 2018 – Emeryville CA –LumiGrow Inc., the world’s leader in smart horticultural lighting is proud to announce their expansion to Europe at GreenTech Amsterdam on June 12-14, 2018. LumiGrow is well-established in North America’s horticultural lighting market, with installations at about 400+ major US and Canadian sites. LumiGrow will debut their newest fixture, the LumiGrow TopLight, and demo their award-winning smart lighting solution. 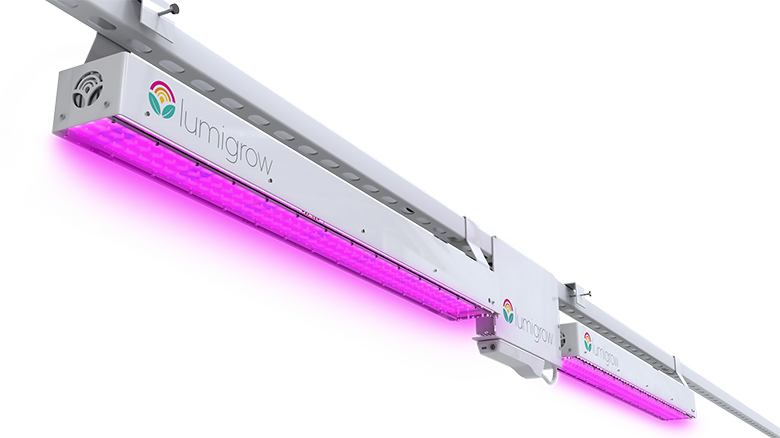 For a first-look at the LumiGrow TopLight, visit LumiGrow at Booth 12.830. The TopLight will be available for pre-order during Greentech and will launch for international markets in early Q3. Greentech has also invited LumiGrow CEO Shami Patel to speak about the profound impact smart lighting and other precision technologies are having on controlled environment agriculture. To learn more about the impact that the latest crop science and technologies are having on business profits, visit the Food & Flower Crops Theatre on June 12, 1:30PM. Additionally, LumiGrow is proud to announce that they have been nominated for a Greentech Innovation Award for their smart lighting technology. The LumiGrow Light Sensor will be on display at the Greentech InnovationLAB located in Hall 9. For access to a full demo of the LumiGrow smart lighting solution, visit their booth at 12.830 and learn how to optimize plant growth for improved yields and quality. 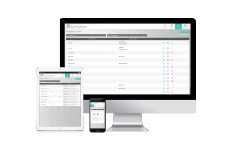 LumiGrow will also be discussing their newest smartPAR features for instant maintenance notifications, light analytics and power analytics. Greentech recognizes the latest technological developments to provide profound value for medicinal cannabis growers worldwide at the Medicinal Cannabis InfoPoint. LumiGrow will be featured at the InfoPoint to offer guidance from our knowledgeable horticultural support. LumiGrow provides the industry’s leading LED Growers’ Guides for various crop types, and will have their LED Growers’ Guide for Cannabis available at the show, just visit the Greentech Medicinal Cannabis InfoPoint, stop by their booth, or download the guide online. LumiGrow is excited to bring their ground-breaking smart horticultural lighting technology to Greentech and offer over 10 years of horticultural lighting experience for the European market. To schedule a meeting with LumiGrow, please contact jalbere@lumigrow.com. For more information about Europe-based job opportunities with LumiGrow, please see www.lumigrow.com/careers. LumiGrow has the largest horticultural LED install-base in the United States, with installations in over 30 countries. Our customers range from top global agribusinesses, many of the world’s top 100 produce and flower growers, enterprise cannabis cultivators, leading universities, and the USDA. Headquartered in Emeryville, California, LumiGrow is privately owned and operated. For more information about LumiGrow, please see www.lumigrow.com. GreenTech is the global meeting place for all market leaders involved in horticulture technology. The conference offers inspiring sessions on cutting edge topics, an in-depth look at the technology of the future, and a wide range of exhibitors’ horticulture products and solutions. Attendees and exhibitors alike will gain an overview of business opportunities in horticulture and the insights needed to make informed investment decisions. For more information, please see www.greentech.nl/.